Despite all the darkness in the world, one must never forget that there is a Light that can never be extinguished. No matter how low you are in your life, hold on to God, the light that shows the way we need to follow. 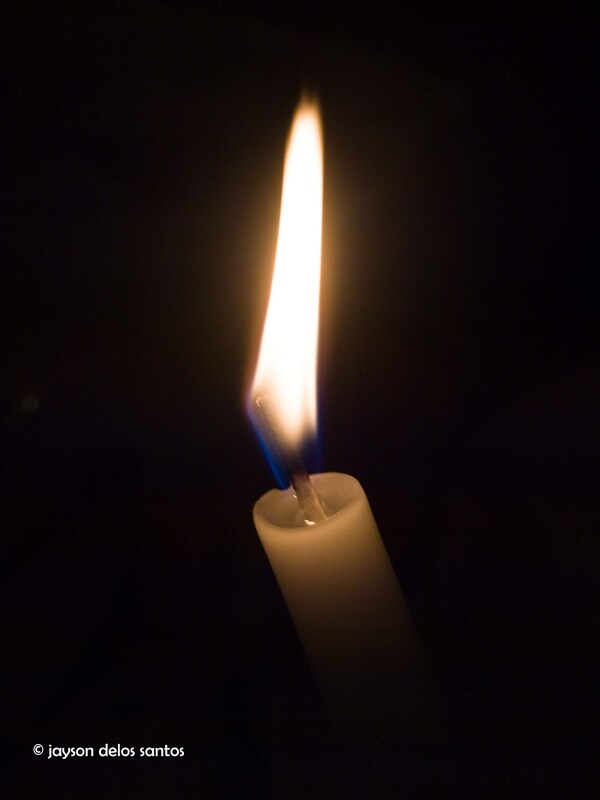 This is my candle offering, for all the victims of natural disasters and the massacre in the Philippines. May God be your Light in this very dark moment. Also, I share this candle to everyone who are in the middle of any crisis. May you find peace in your sufferings.